The Independent Liquor Group (ILG) has paid a penalty of $10,200 following the issue of an infringement notice by the Australian Competition and Consumer Commission (ACCC) in relation to its “Aussie Beer” product. 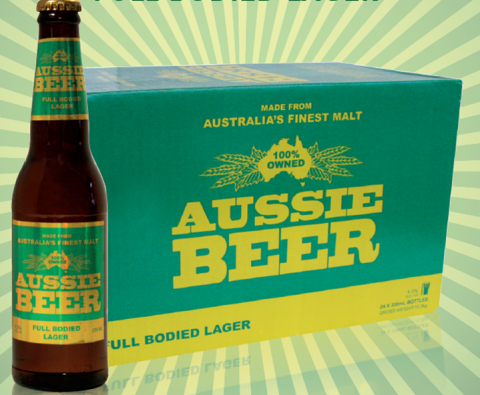 From March 2014 to August 2014, ILG supplied a product named “Aussie Beer”, with labelling that incorporated the statement “100 per cent owned” within a map of Australia and the statement “Australia’s finest malt”. The packaging also featured green and gold colours, which the ACCC said are colours closely associated with Australian sporting teams. The ACCC considered that, by its packaging and labelling, ILG represented that its “Aussie Beer” product was a product made in Australia when in fact the product was made in China. The infringement notice was issued because the ACCC had reasonable grounds to believe that ILG had made false or misleading representations about the country of origin of the “Aussie Beer” product, in contravention of the Australian Consumer Law (ACL). “Country of origin representations, particularly those designed to grab the eye of the consumer by using well known symbols, colours, or slogans, must be truthful,” said Rod Sims, ACCC Chairman. “Consumers will often place a premium on the provenance of a product, but are unable to check the accuracy of those claims,” Mr Sims said. “This is particularly the case with Australian made products which encourage consumers to support local industries. Consumers are entitled to expect that prominent representations made on packaging are accurate without having to check for disclosures in the fine print,” he said. The payment of a penalty specified in an infringement notice is not an admission of a contravention of the ACL. The ACCC can issue an infringement notice where it has reasonable grounds to believe a person has contravened certain consumer protections of the ACL.